I was driving to Malden today and came across this on Highland Ave. This is so cool! It looked even cooler from the side but I couldn't get a picture from that angle. 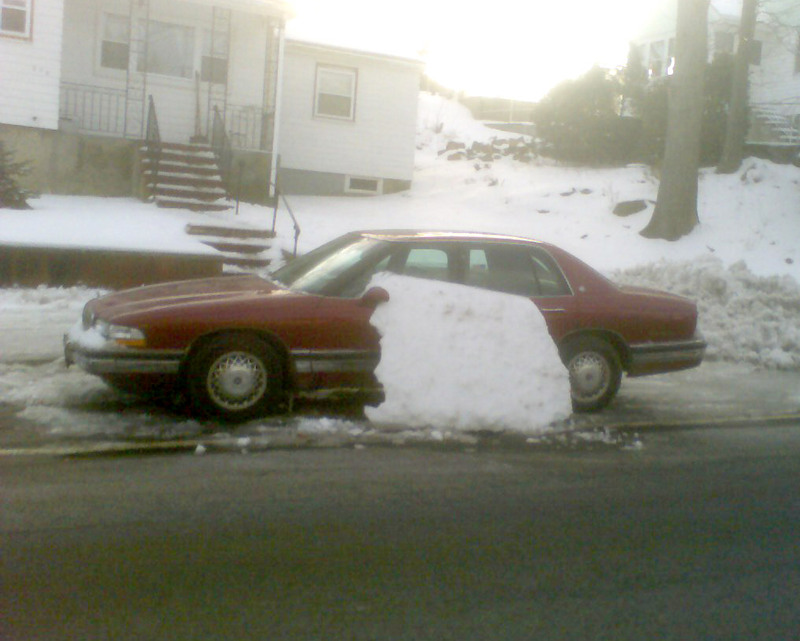 Seems impossible that a sheet of snow could fall off a car like this and not shatter into a million pieces. Very cool.